Michael Melton has been creating quality content on chiropractic care since 1993. As CEO of ChiroHosting.com, he seeks to increase public understanding of the benefits of natural health and chiropractic wellness. His efforts to educate patients have resulted in multiple online videos, DVDs, presentations, and three books including The Complete Guide to Whiplash. See a full list of Michael Melton’s articles for ChiroNexus.net here. In addition to writing articles on the latest chiropractic research for ChiroNexus.net, Marissa Luck is also the Content Director for ChiroHosting.com and ChiroNexus.com. She frequently combs through academic journals to bring you the most relevant, timely research on chiropractic care. She also has the pleasure of assigning stories, editing work from our other great writers, and creating scripts for our unique chiropractic videos. She graduated from The Evergreen State College with an emphasis in social sciences.See Marissa Luck’s articles for ChiroNexus.net here. Kelly Johnson keeps you up-to-date on news related to chiropractic care and natural wellness. As a writer for ChiroNexus.net, she aims to make scientific research approachable and understandable for patients seeking to gain more information about their health concerns. When not educating patients about chiropractic and natural health, Kelly also writes about marketing research and parenting. See Kelly Johnson’s ChiroNexus.net work here. Megan Churchwell has been covering a broad-range of health and personal-injury issues since 2005. When writing for ChiroNexus.net, Megan covers current research related to chiropractic care, natural medicine, back pain, and more. She has a B.A. in history and M.A. from the University of Washington in Seattle. 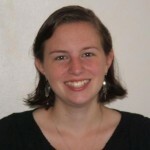 See Megan Churchwell’s work for ChiroNexus.net here. You might also want to check out our other sites: Waxwing Legal Websites and Waxwing Dental Websites.